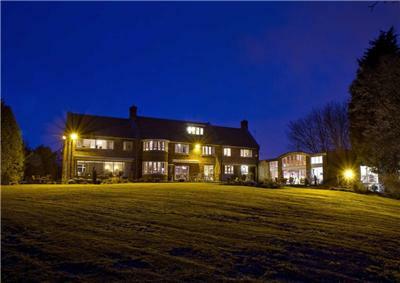 A splendid country home set within approximately 4 acres of secluded established grounds, approximately 1.5 miles from the centre of Yarm. An additional area of adjoining paddock land and outbuildings extending to approximately 2 acres is available by separate negotiation. A well laid out house with many appealing features to include a magnificent dining hall with carved oak fire surround, wall cabinet and staircase from the 'Mouseman', Thompson of Kilburn, who also made the front door. 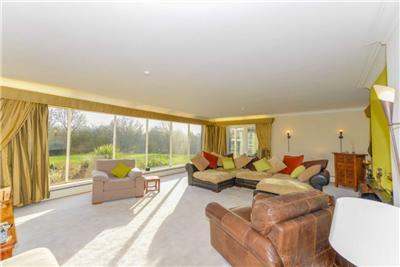 The 7m long picture window in the living room provides a beautiful outlook across the south facing rear gardens. 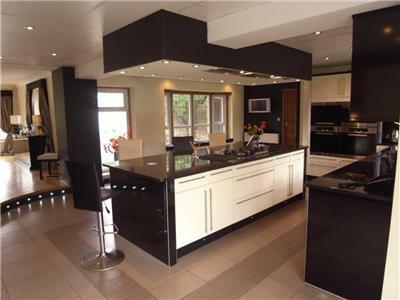 The kitchen/breakfast room, which faces south and north, is fitted with a comprehensive range of cream coloured high gloss finish floor and wall mounted units with black granite worktops. The large central breakfast island incorporates retractable electric socket towers, a 5-ring gas hob unit and a large overhead canopy with remote control downlights and extraction unit. Other integrated appliances include Miele twin electric ovens, steam oven and microwave oven, and Miele wine chiller. There is an integrated dishwasher and two fridge freezers. The kitchen opens directly into a large sitting room, currently used as a dining room, which overlooks the large private front garden. There is a large indoor swimming pool, which has been floored over in beech to provide a magnificent entertainment room and gymnasium. Large and wide sliding patio doors provide views and access to the rear gardens. This section of the property offers excellent potential to be adapted to provide annexed accommodation if required. There is a cinema room off the gymnasium. There are six bedrooms and four bathrooms to the first floor. The largest bedroom within the master suite includes fitted wardrobes, a walk-in dressing room and a large en-suite bathroom with tiled underfloor heating, a Jacuzzi and whirlpool bath and a corner multi-spray shower unit with steam facility. Drop down ladders provide access to the large attic room (9.7m x 4.5m including fitted cupboards), with doors at either end opening to further attic space. There is a dormer window to the south. This area also offers potential, subject to necessary consents, to provide additional accommodation. Remote control timber security gates provide vehicular access to a long and winding private tarmacadam driveway which runs through the grounds to a wide expanse of block paving to the front of the house and access to the large garage. 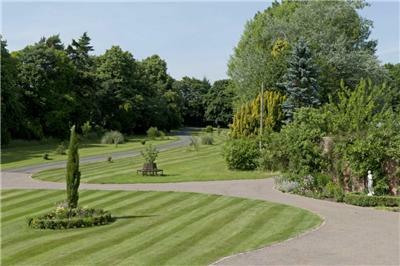 The grounds are well maintained and enclosed by mature woodland with secluded sitting areas, extensive lawns and well stocked shrubberies. A walled garden adds a further dimension to this beautiful property. The grounds are licenced for landing helicopters and for clay pigeon shooting. A large garage provides parking for 4/5 motorcars. In addition there are a number of further useful storage rooms and a plant room housing the swimming pool water treatment equipment and the gas fired boiler.